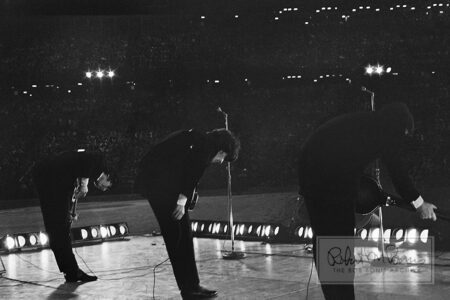 As was the custom with many groups of the era The Beatles would take a bow after each song. Bob Bonis shows his unique perspective from behind the band as he stand on the side of the stage with his Leica M3 camera taking these historic photographs, the only close-up photos of only The Beatles concert in Minnesota that exist! As an edition sells down, the price will increase. Once an edition sells out, that edition will never be reprinted! 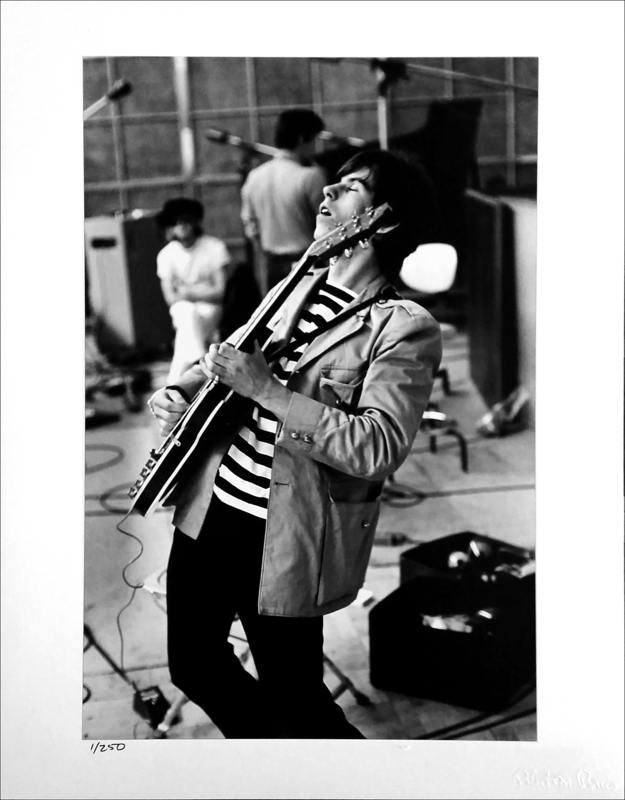 This photograph was taken by Bob Bonis, who was the U.S. Tour Manager for both The Beatles and the Rolling Stones from 1964 through 1966. This is a Limited Edition fine art photograph, derived from the original negative or slide, and is printed on professional grade Fujicolor Crystal Archive paper by the master printers at Duggal Visual Solutions in New York. 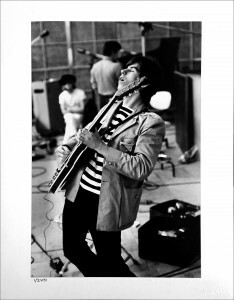 Thanks to his unequaled access and gifted eye for composition, Bob Bonis captured thousands of unguarded, candid and iconic photographs of the two most important groups in the history of popular music. The majority of these images have never been seen or published and most are available here as Limited Edition fine art prints for the FIRST TIME! ONCE AN EDITION SELLS OUT IT WILL NEVER BE REPRINTED! 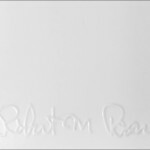 With Limited Edition prints and photographs the price typically increases as the edition sells down. After 20% of an edition sells the price will increase. After the next 20% sells the price will increase again and so on, until the edition sells out completely. To keep things clear we are only listing the number of prints that are available in a particular edition at a particular price. When you have selected a size/edition and it says that (whatever number it says above) are available, it means that number of prints remain available at that price. When those prints have sold we will list the next group of prints of that edition at the next price, and so on, until the edition has sold out completely. By buying your print now, rather than waiting, you will get both the lowest print number available in that edition AND the lowest price! So don’t hesitate or the price may go up – or the edition may sell out. Our fine art photographs are custom printed to order and require a high level of expertise and intense attention to detail, all delivered by Duggal Visual Solutions in New York City. As these are not “off-the-shelf” items an order may take up to 10 business days to print and ship. 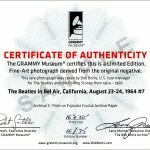 Once printed each photograph is inspected to ensure a perfect print it is then hand-numbered and is embossed with the official Bob Bonis signature seal, as authorized by The Bob Bonis Estate. 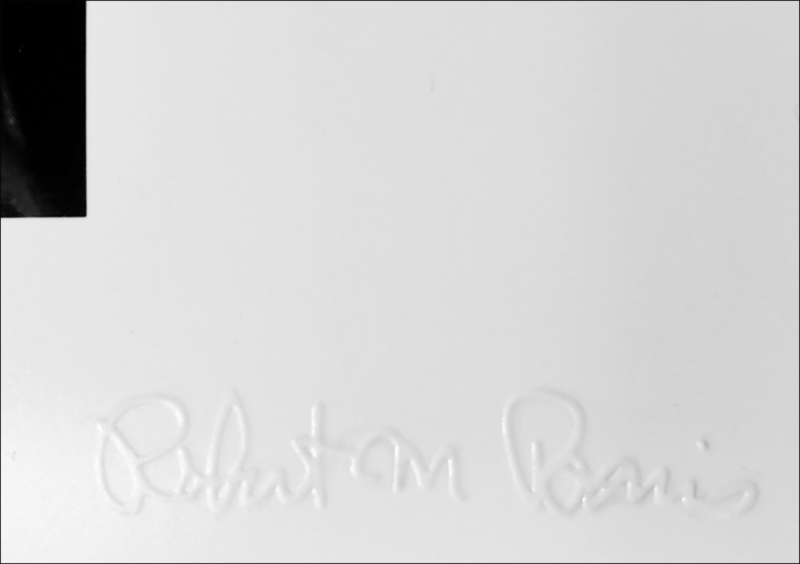 It is then placed in a rigid acid-free acrylic sleeve to protect it from fingerprints and other damage. If you need your photograph by a specific date for a gift or other reason please be sure to let us know in the notes section of your payment, or Contact Us before your purchase to make sure that we can deliver it in time. We will go out of our way to accommodate your needs if at all possible. The Bob Bonis Archive strongly believes in Art Accessibility. We are offering our fine-art photographic prints at prices far below the standard market price for such photographs. 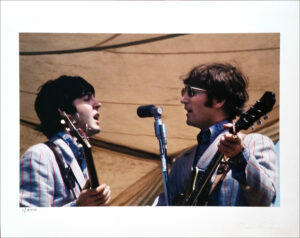 These images are accessible and affordable for fans as well as collectors and investors. Please be aware that as an edition sells down the price will rise. Please don’t hesitate to contact us with any questions via Our Contact Page. 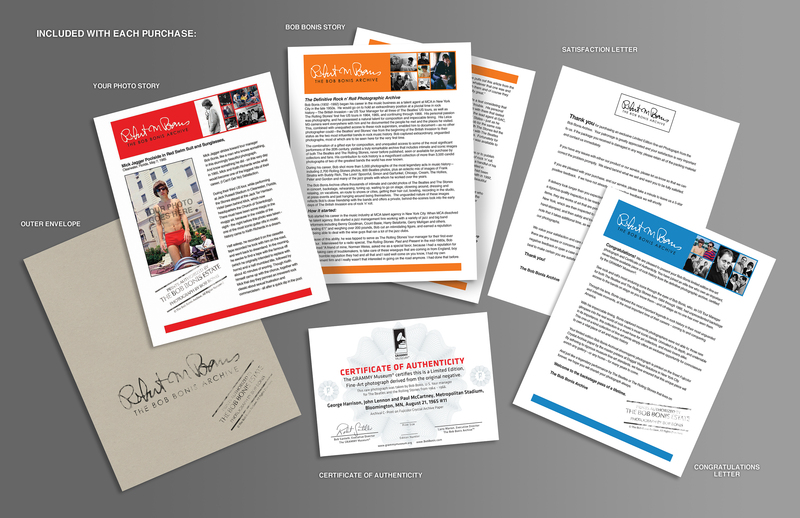 There are a number of important notes we’d like to present about the actual prints you will receive when you purchase a Bob Bonis Limited Edition Photograph. The Bob Bonis Archive logo that appears on the lower right corner of the photos pictured above is only a watermark and WILL NOT APPEAR on the actual print you receive. Your actual prints are custom printed on either 11″ x 14″, 16″ x 20″ or 20″ x 24″ professional grade Fujicolor Crystal Archive Paper, depending on which size photograph you purchase. 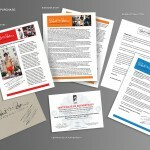 Each print has the image centered on the paper, with a white border, and is hand-numbered with your specific print number and the edition size directly below the image on the left bottom side as shown in the examples below. 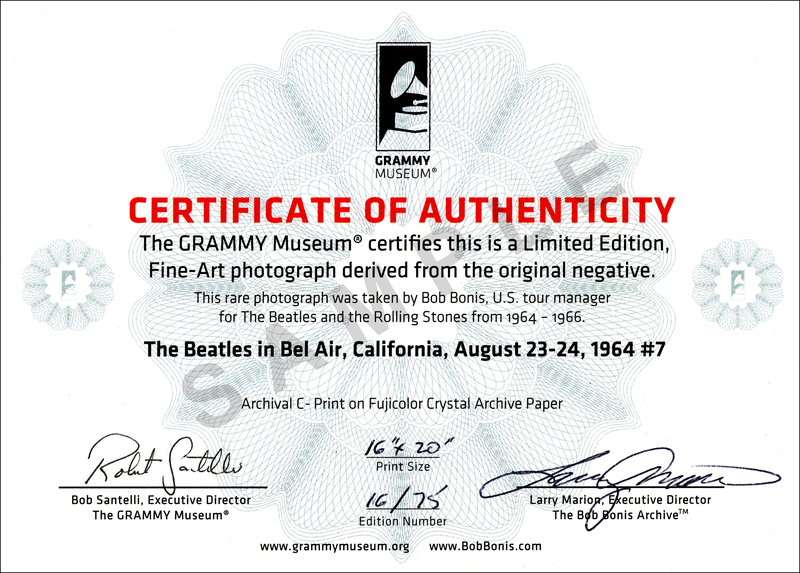 The official Bob Bonis Signature Seal is embossed in the lower right-hand corner of the paper.